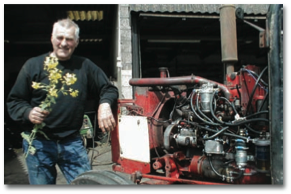 Farmers on Samso invested in wind turbines and began growing biofuels for their tractors. “As we began thinking about energy, it became a kind of sport,” said one. In recent years, hundreds of cities across the globe have developed climate action plans. Local governments have dozens of reduction opportunities, including installing energy efficient bulbs in traffic lights, purchasing more efficient vehicles, adopting stronger building codes, buying renewable electricity, constructing mass transit systems, promoting cycling, implementing measures to discourage cars in city centers, and launching aggressive recycling and waste reduction programs. Here are two examples from Denmark. The municipality of Thisted, Denmark has a population of 46,000 people. The area’s thriving economy includes 1,700 companies in the food production, metals, and plastics industries. Thisted has its own brewery, slaughterhouse, and ice cream factory. It is home to Denmark’s largest fishing port. And it is powered almost entirely by renewable energy. 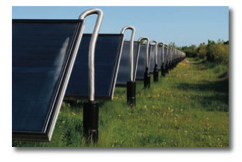 About 98 percent of all electricity and 85 percent of all heating energy in Thisted come from renewable energy. Carbon dioxide emissions have been reduced by almost 90,000 tons each year, and many new clean energy companies have been established. Wind turbines, biogas, biomass, rapeseed oil, geothermal energy, solar energy, and waste heat from industry all contribute. A decade ago, the Danish island of Samso won a contest to become the country’s first renewable energy island. Today, after investing some $75 million, its 4,000 residents have a negative carbon footprint, due to the export of electricity from an offshore wind farm. On calm days, the islanders import power through an underwater cable, but on an annual basis they produce far more than they consume. Solar power has exploded in Europe in recent years. In Germany, Spain, and Portugal, the clean power movement is being driven by innovative programs that require utilities to purchase renewable energy generated by citizens and companies who invest in its production. The results have been impressive: Germany installed more solar power in 2009 than the United States has in 50 years. To address the climate challenge, more communities will need to begin producing some of their own energy. 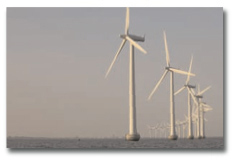 Almost all of the 252 wind turbines in Thisted are owned by local farmers. The machines typically pay for themselves within 7 years, after which their owners earn attractive returns on electricity sold to the local utility. 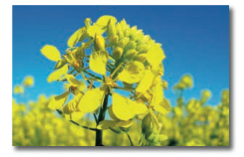 Rapeseed, or canola, provides an alternative to liquid petroleum fuels. Advanced biofuels from a variety of sources, including perennial grasses and fast-growing woody plants, are being evaluated to determine their potential for reducing food, water and land-use conflicts caused by some of today’s biofuels.